Just two hours ago, DramaFever announced the host of the 2013 DramaFever Awards… and guess who that is? … Arden Cho! Arden is a rising Korean-American singer, songwriter, model and actress, who made herself known through the webseries K-Town Cowboy and short film Agents of Secret Stuff in 2010 and then has just recently risen to fame with her role of Kira in the new series of MTV hit show, Teen Wolf. She also appeared in Pretty Little Liars, CSI: NY, Castle and hit webseries Video Game High School! Arden also has a successful video blog on YouTube where she both showcases her talent as a singer and interacts with her fans. Remember? You voted for the best K-dramas of 2013 a couple of weeks ago (here our article about it). She will be hosting the event and announcing the results! The ceremony will take place at the Highline Ballroom in New York City from 7pm to 10pm on Thursday May 1. Tickets are currently for sales for only $25 (there was even a promotion of of 20% until April 15). Several Korean stars are expected to appear, including Park Shin-hye, Chris Wang and others. Unfortunately, you would have to fly to the U.S. but if we are active enough, maybe one we can hope that the event will hosted in London! For those lucky enough to be in the Big Apple on that date, you can buy the tickets here. 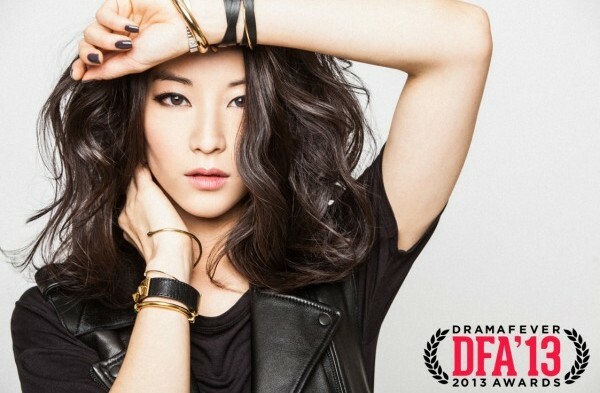 Congratulations to Arden, the 2013 DramaFever Awards just became an even more interesting event to follow! NB: This article was initially posted on April 18, but due to difficulties to share it on social media I am reposting it.